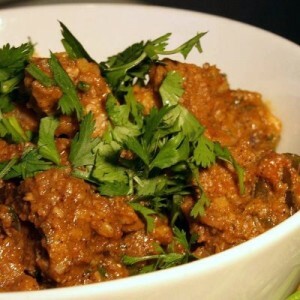 Fry Gosht recipe by Zeba at DesiRecipes.com. 1 1/2 tsp of Ginger paste. 1 1/2 tsp of Chili powder. 1 tsp Mixed spices ( garam masala ). Marinate mutton in all the above ingredients for 1/2 hour to one hour. After marination, put it to boil in water till it gets tender and water dries up. Once the mutton is tender, take a pot, pour oil and fry. Serve it hot with our traditional roghni naan.